I'm really happy to be stocking all of these as they represent some of my favorite music going on in Portland right now. I order a lot of tapes based on the reputation of the label or a hunch or nice cover art or whatever, but these are ones I really wanted to make sure I was carrying and tracked down. Pretty eclectic group here but all of it stellar. 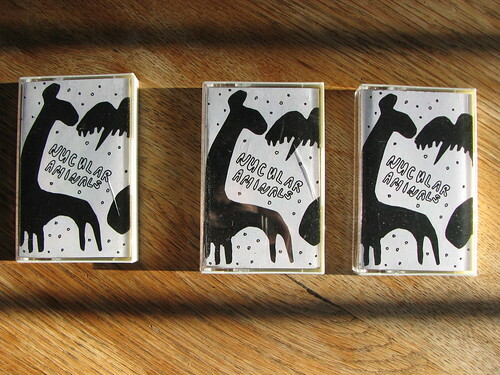 Sad Horse come with a Mississippi Records pedigree and their 7" for the label's North Portland Music Series is a prized item in my record collection. 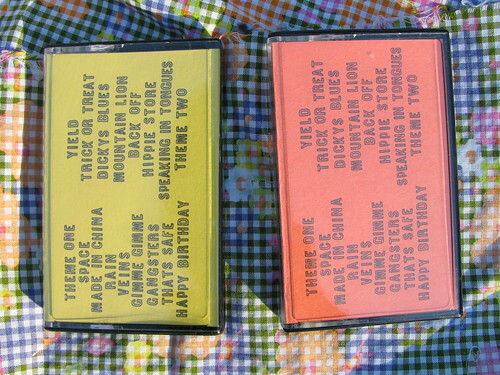 Though out-of-print for a little while now, five of that record's six tracks ("Coyote" is absent) are on this tape, along with a dozen or so other tracks of similar vintage. Sad Horse play short, fast songs that are as punky as they are personable, whose frenetic energy plays off their odd structures and meters. I think one of the reasons I like their music so much is that the personalities of the two members come out so well -- that it seems like two people making music together as a way of life. I'm looking forward to their next release, and hopefully it'll have their killer cover of Dead Moon's "Loafer" that they've been playing at their shows recently. Only $3! I'm pretty certain that these are Pete's first releases since the end of Yellow Swans, and it's hard to be bummed about that group's end if it means more releases like these ones. 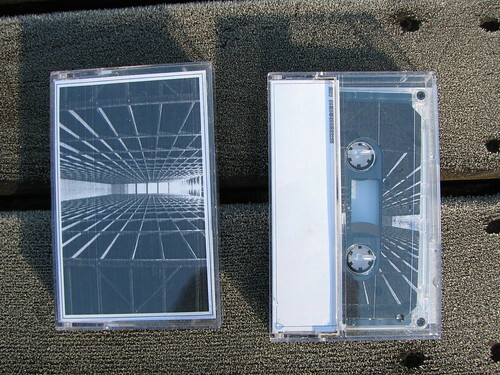 Both of these tapes are really amazing -- it's clear that Pete has been at this game for a long time. The man knows what he's doing and how to make music that is shredded, imploding, brutal and above all beautiful. I was shocked at how emotional this music is and the kind of visceral punch it packs. 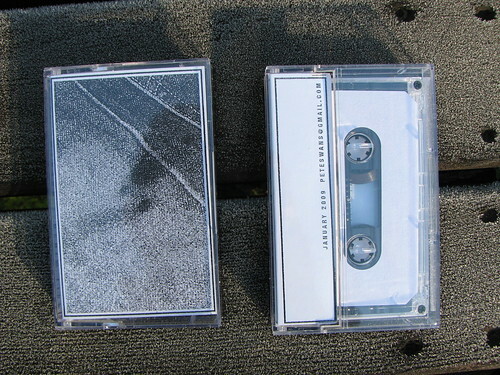 Unlimited Options is the more monolithic of the two tapes -- each side is a heavy duty drone that builds in intensity at the same time that it feels like it's disintegrating. Denim Life feels more tangible with the rhythmic and melodic undercurrents of the two pieces (similarly side-long drones) showing more clearly through the obliterated sonics. I can't decide which one is my favorite. Each is $6.